The mother of Nezaam Khan, the man who died early last month, hours after his body was discovered in a pool of blood along the Diamond Public Road is not pleased with the manner in which the police are handling the matter. “Today (yesterday) is the 9th, it’s a month and eight days already and they (the police) haven’t done anything,” the frustrated Martha Persaud yesterday told Stabroek News. The body of Khan, called ‘Damian,’ 46, of Lot 1159 Section ‘A’ Block X, Diamond Housing Scheme, who was an employee of the Ministry of Education was discovered just before midnight on November 31. 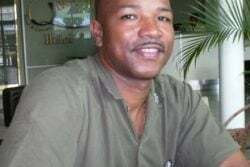 He was transported by the police to the Diamond Hospital, from where he was taken to the Georgetown Public Hospital (GPH), where he died the following morning. An autopsy had revealed that he died as a result of blunt trauma to the head. Persaud had previously related to this newspaper that she last saw Khan alive around 1.30pm on November 31, when he left home to do some errands. Hours after, she had said that she spoke to him over the phone and he informed her that he would return home by 10 pm since he was hanging out with some friends. However, as time elapsed and Khan did not return home, Persaud became worried and started to call him. Calls to his phone went to voicemail. She said she then contacted one of his close friends who was not with him and he ventured out to search for Khan. However, the friend, too, came up empty-handed. 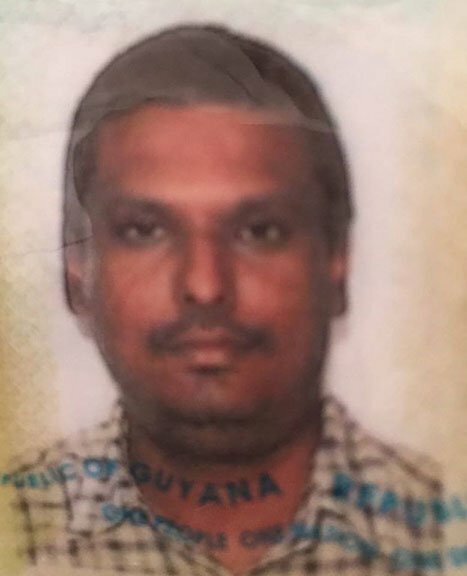 Persaud had further explained that she went to the Diamond Police Station the following morning and she learnt that the description she provided to the police matched that of an individual that was found on the public road. She was later taken to the GPH, where she positively identified the individual as her son. While at the hospital, she was told that she needed to make arrangements for Khan to undergo a CT scan. It was while she was making the arrangements that doctors informed her that Khan had passed away. 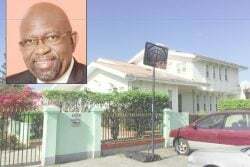 Persaud had said based on information she received, Khan and one of his friends had joined a Route 42 minibus, and he disembarked at Diamond Public Road and the friend continued to Grove, where he resides. Since the incident, the police have not yet made any arrest. 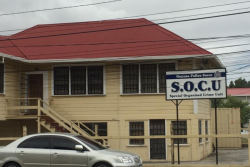 However, a source related to Stabroek News that the investigation is active. Persaud yesterday said she is frustrated with the pace of the investigation. “The police not doing anything about my son mater. I am getting aggravated now,” she said. She explained that there are key aspects of the investigation that emphasis needs to be placed on in order to get to the bottom of the matter. These include the review of CCTV footage and tracking down Khan’s cellular phone which is yet to be located. She said the police had promised to get back to her after they obtained a statement on December 6 but to date they haven’t. “Them (the police) seh they will get back to me. Up to today nothing,” she said. Persaud said she will be writing to Commissioner of Police Leslie James seeking his intervention into the matter soon.